Your water heater may be the least appreciated appliance in your home. It operates continuously in a closet or garage where you rarely see it. You quickly miss it when you step in that cold shower after it fails. You may be in the market for a replacement water heater by necessity or to prevent a potential failure, especially if your current heater is older than the warranty. The Reliance 606 water heater line may be a good choice for you. There are three major water heater types – conventional, on-demand and heat pump combination. Conventional heaters store enough water to supply short-term needs and quickly replenish the amount used. On-demand water heaters supply hot water in a specific location. The unit is smaller and installed close to the dispensing faucet. You may have a number of them servicing your bathrooms and kitchen. 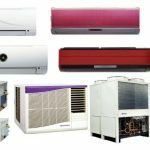 The heat pump combination uses ambient air heat to warm water stored in the tank. It is more efficient than the other two types but costs more and requires a relatively warm location for placement. Reliance offers all three water heater types, but we will focus on the conventional gas and electric models, specifically the 606 line. You may be reading this review because your unit failed and you need to find a replacement quickly. It is tempting to rush through the decision – your house does not have hot water! We recommend you take the time to understand key features in your purchase since you will own the unit for many years. Your living circumstances may have changed since you bought your current water heater, or it may have been in the house when you moved in. Regulations affecting water heater dimensions may have changed since you installed your current unit. We will cover these topics to assist you with your decision and recommend you consult your local water heater installation expert. How Does This Model Compare to Others? First, decide which Reliance 606 model you need. 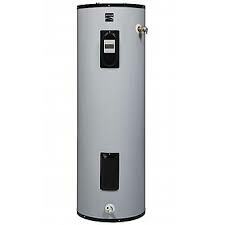 They offer a wide range of water heater types, capacities and sizes in the 606 line. 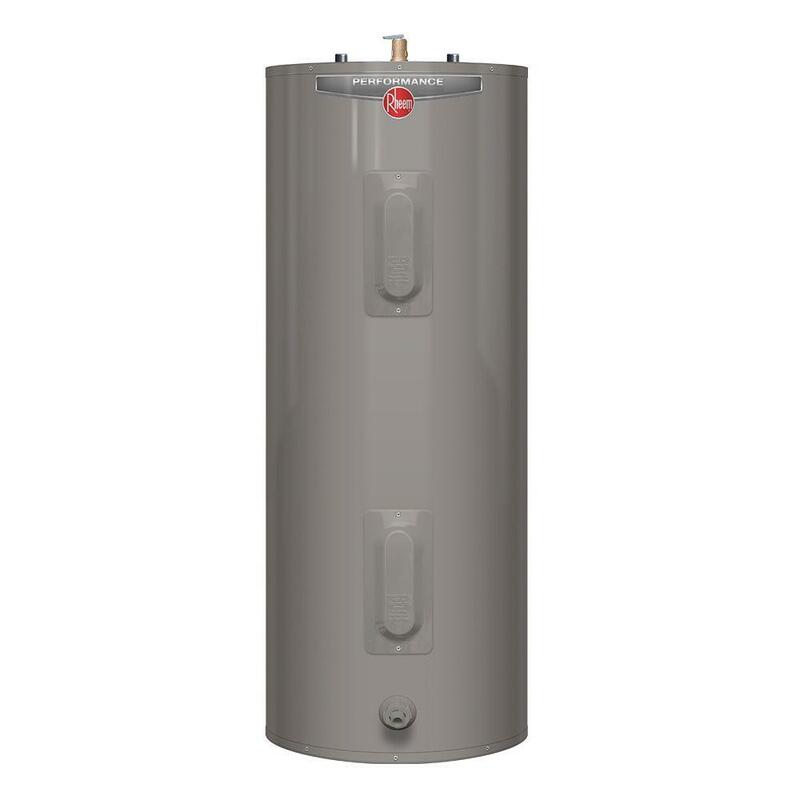 Measure the height and diameter of your current water heater to make sure the new unit can fit. It should use the same electric or gas power source. Consider converting from electric to gas, if feasible. Next, you need to determine the First Hour Rating, the amount of hot water dispensed per hour before replenishment. The first hour rating can be more important than heater tank capacity. A smaller capacity tank with a high first hour rating may be better than a larger water heater with a lower rating. Hot water usage occurs during peak times such as morning bathing and evening meals. You can base the first hour rating on the maximum expected usage during these peak periods. The Department of Energy has some excellent worksheets. Reliance has a useful chart based on the number of bedrooms and bathrooms in your home. The charts use average data for their calculations. Whirlpool baths use more hot water than showers or standard tubs. You can plan for the maximum number of people you anticipate spending the night in your home. 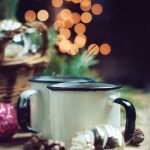 You do not want your family or guests to run out of hot water. The Reliance 606 water heater line provides many models to meet your needs. Electric water heaters range from 30 to 119-gallon capacities in medium, tall and tabletop models to fit your space. Gas heaters come in short and tall sizes with 30 to 100-gallon capacities. We will use the 50-gallon tall electric model for this review as a point of comparison with other manufacturers. Be aware of changes to water heater standards and sizing effective April 16, 2015, due to the National Appliance Energy Conservation Act. Most likely, your current heater is older than this date. 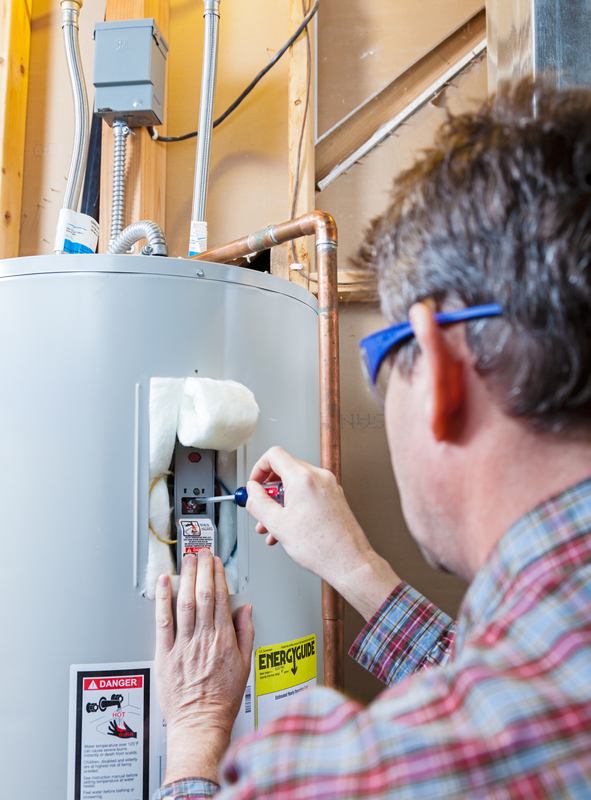 Water heater producers must meet stricter energy standards and add thicker insulation. The changes increase the unit height and width so new heaters may be larger than your existing unit. Reliance water heaters produced after the effective date meet these standards. You may see changes in the last four alpha characters of the previous model numbers in the 606 line designating the upgrade. Older models may still be on the market. We recommend you confirm you are buying the latest model. Alternatively, you may find discounts on earlier models based on availability. Water heaters built before April 16, 2015, can still be used. Water heater types, capacities and sizes vary with the Reliance 606 water heater line. The Model 6 50 EORT is a good representative for comparison purposes. The model is an electric type sized for the typical home. Here are the key features and specifications. A.O. Smith manufactures Reliance water heaters and supports them as a separate brand. A.O. Smith has over 80 years of experience in water heater design and manufacturing. They market some units under their name. The Reliance Model 6 50 EORT supports a typical three bedroom, three bath home with its 62-gallon First Hour Rating. The 50-gallon capacity tank fits a space supporting its 23-inch diameter, 60.5-inch height. The Uniform Energy Factor or UEF is a measurement of efficiency. The National Appliance Energy Conservation Act changed the metric in 2015 from the Energy Factor or EF. The change provides a more accurate comparison metric applied to different water heater types. Water heater testing involves simulated home hot water use. Government testers use a standard calculation comparing the amount of energy needed to run the water heater to the energy expended by the unit. The higher the number, the better. A perfect energy factor of 1.00 is impossible to achieve due to cool air conditions around the unit, heat loss from the tank and related factors. The Reliance 606 water heater used in this review has a 0.93 uniform energy factor. You may still see some energy factors, or EF, listed for units built before the National Appliance Energy Conservation Act went into effect. Energy Guide labels, administered by the Federal Trade Commission, help consumers understand estimated energy costs when they shop for major appliances. The Model 6 50 EORT costs $419 annually to operate according to energy guide estimates. 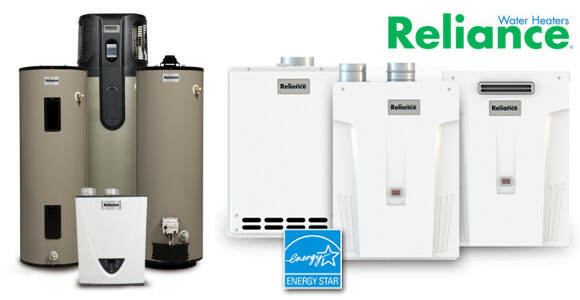 Reliance water heater construction supports energy savings, safety and environmental factors. The tank has non-CFC polyurethane foam for insulation, reducing heat loss and increasing energy efficiency. CFCs or chlorofluorocarbons contribute to ozone depletion and harm the environment. Two 4,500-watt heat elements covered in copper heat the water. The copper prevents contamination when the water remains in the tank for long time periods. The glass-lined tank protects against corrosion. The temperature and pressure relief valves are key safety features. The valves release excessive water caused by high-temperature settings. Water can expand by over one-half gallon in a 50-gallon tank when exposed to high temperatures. The Reliance 606 water heater has a self-cleaning feature to increase tank life and reduce water leak risk. Sediment from water impurity can build up over time and cause corrosion and leaks. Cold water travels to the bottom of the tank for heating using a dip tube. An upward curve in the tube causes water circulation in the self-cleaning water heater. The flowing water disperses the impurities avoiding sediment gathering on the bottom. Water heaters without this feature require more maintenance and have a higher failure risk. The Reliance 606 model series has a six-year warranty on the tank and parts and one year for labor. Reliance maintains a service department and parts catalog supporting repairs. The Reliance Model 6 50 EORT is the medium sized unit in the 606 model series. Prices vary based on the model chosen using your sizing calculations. It sells for $430 at ACE Hardware. 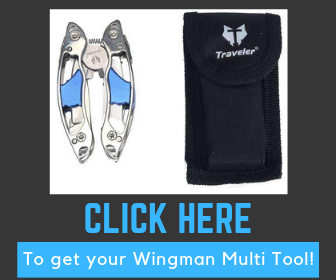 The Reliance website lists other places to purchase the model including True Value, Grover and other stores. You can choose from some other brands offering water heaters similar to the Reliance 606 water heater line. You can make a comparison based on price, product dimensions and key features. Here are some models comparable to the Reliance 6 50 EORT. Manufacturers offer a similar range of products to the 606 line. We chose the 50-gallon tall electric model from each brand. Water heaters are “out of sight, out of mind” so you typically do not see the appliance until it needs repair or replacement. Consider pricing, features and warranty provisions when evaluating your purchase. The Reliance 606 water heater line offers 25 electric, 31 gas and nine liquid propane units in several capacities and sizes. Reliance offers some electric models for mobile home use. The extensive line supports the water heater replacement needs of most homeowners. The Model 6 50 EORT offers a good balance of features. The self-cleaning capability extends tank life and reduces maintenance. The 0.93 uniform energy factor supports the $419 annual operating cost estimate. This model has a strong 62-gallon first hour rating sufficient for typical size homes. The Kenmore 58250 has a higher 81-gallon first hour delivery rating. However, the enhanced feature costs more. Other brands may have a longer warranty. They typically charge a higher price for extended coverage. The Reliance 6 50 EORT is very efficient, yet it does not meet EnergyStar certification standards. Water heater technology continues to advance, and the new model you purchase will most likely be more energy efficient and perform better than your old unit. Take time to compare key features such as first hour delivery and the uniform energy factor. Water heaters typically last around 12 years, and your household could have changed during that time. Your family may have grown, or maybe you became empty nesters. How long do you plan to stay in your home? Evaluate the current and projected water usage based on these factors. We focused on electric storage heaters in this review, but you may need to replace a gas or propane unit. Gas units tend to be less expensive to operate than electric water heaters but may cost more to purchase. You may even consider the cost of converting an existing electric water heater to a gas model. It may cost more to extend a gas line, assuming your home is not all-electric, but you may save money over time. We focused on the Model 6 50 EORT for comparison purposes, but your actual needs will most likely require a different model with the same features. The Reliance 606 water heater product line offers a broad range of electric, gas and propane units of various sizes and capacities. You can find the best model based on available literature and help from your local water heater installation expert.